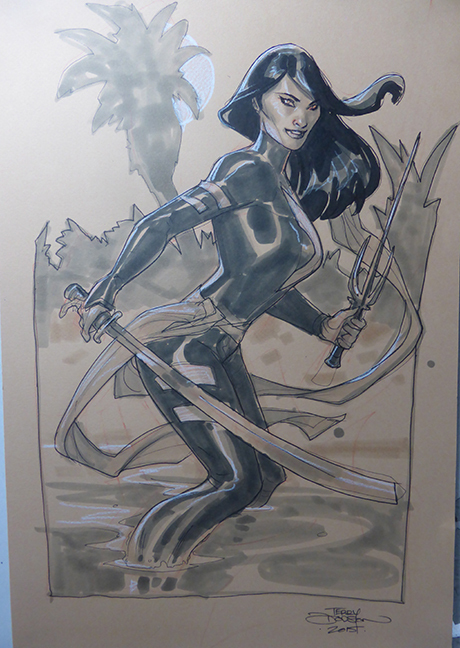 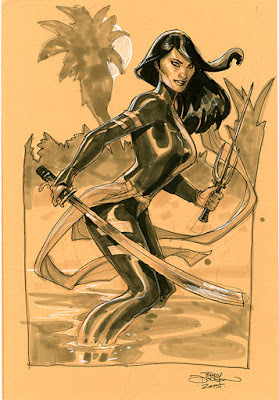 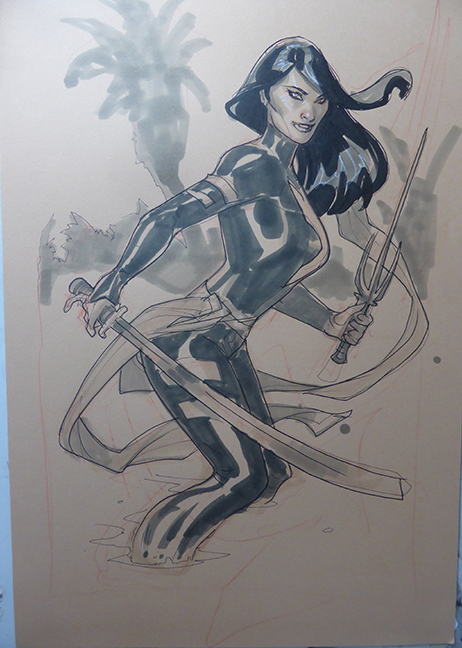 Here's a quick look at how I did a Psylocke Commission. 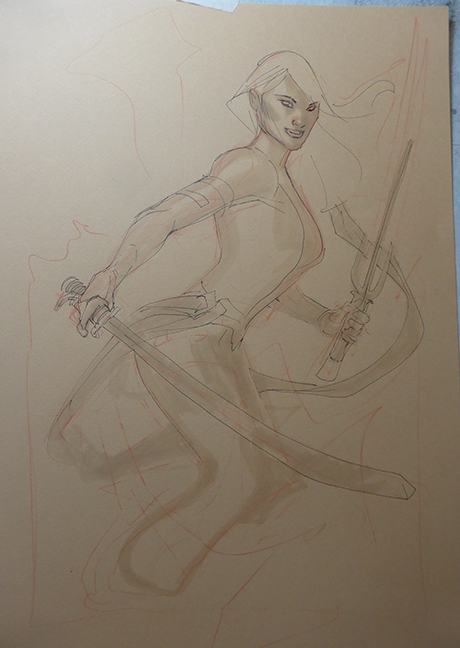 First step is to rough in with Col Erase Scarlet Red Pencil on 11 x 16 Canson Mi-teintes Paper then pick out the drawing with a small pen like a Pitt XS or Micron 1 Black Pen and initial value with Copic Warm Grey 1, 2. Next I work with Copic Warm Grey 3, 4, 6 and 8 to nail down values and a little more black to finish up the drawing, plus some White Prismacolor for highlights. Beautiful work Terry. 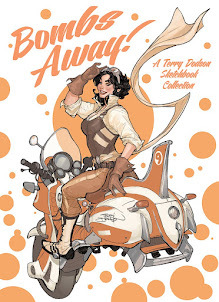 I will have to plan on having you do a sketch for me at an upcoming event.